In September 2016 The Jack Buncher Foundation offered to public libraries throughout Allegheny County a fundraising challenge offering up $125,000 of matching money to be shared by all libraries. It was a first of a kind challenge for the county’s 47 public libraries. Almost $531,000 was raised by the 47 public libraries during that month and for each dollar raised, each library received .23 cents. Sewickley Public Library and the Friends of the Sewickley Public Library raised $37,127! The top three fundraising libraries were: Carnegie Library of Pittsburgh raised $84,691 and received $19,940; Western Allegheny Community Library raised $43,306 and received $10,196; Sewickley Public Library raised $37,128 and received $8,744. All 47 libraries received something from the pool. The Friends of the Library Savoring Sewickley annual event kicked off ticket sales. Ticket sales, raffle ticket sales, and sponsorship donations made in September counted toward our fundraising effort. 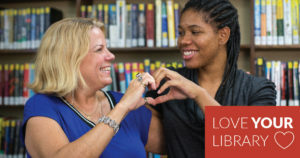 The Library Board mailed reminder letters to donors in August urging them to make a donation in September if they hadn’t already made an earlier donation in the year. The Library Board also recognized September as Rita Crawford month as she announced her retirement. Donations made in honor of Mrs. Crawford contributed to our September fundraising. The Pittsburgh Foundation’s Day of Giving was also held in September. Usually the Day of Giving is in May, but due to a technical difficulty it was rescheduled for September. Memorial, Honor and unrestricted donations made throughout the month contributed to our September success, too. We are so very grateful to all of our donors. We couldn’t have done it without you! Just about every dollar received by the library or the Friends of the Library was counted toward our fundraising success in September. Mrs. Buncher surprised all of the public libraries one more time this year when she donated $5,000 from The Jack Buncher Foundation to each of the 47 public libraries in December. What did Sewickley Public Library do with all of the generous donations from our Patrons and The Jack Buncher Foundation? Our librarians and staff continue to offer outstanding customer service, we provide advanced technology opportunities, we maintain our lovely historic landmark building, we provide a comprehensive collection and programming, and much more. The Sewickley Public Library is truly a community gem due to your generosity.